Nanjing CUH Science & Technology Co., Ltd has passed ISO9001: 2008 quality management system certification. 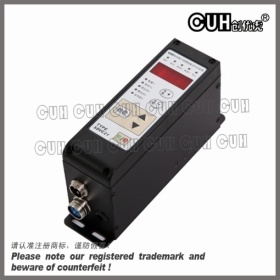 2011-04-27 2011-04-27 Nanjing CUH Science & Technology Co., Ltd has passed ISO9001: 2008 quality management system certification. Welcom to the 5th International Trade Fair for Automation and Mechatronics 2011-03-10 2011-03-10 After successfully taking part in the 4th International Trade Fair for Automation and Mechatronics in Munich, CUH will take part in 5th International Trade Fair for Automation and Mechatronics on 22-25 May 2012, at New Munich Trade Fair Centre. 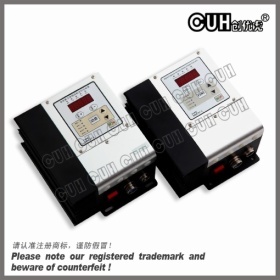 Founded in 2003, Nanjing CUH Science & Technology Co., Ltd is the leading producer and exporter of parts feeder controllers in China and is devoted to provide total solutions of feed system. We mainly research, develop and produce automatic feed systems and automated production line. Relying on the strong technical force which co-operates with Southeast University, Nanjing University of Science and Technology and the precise and pragmatic work attitude, the SDVC series parts feeder controller and vibratory feeder controller have earned an international reputation in the parts feeding fields. The SDVC series parts feeder controller are exported to Southeast Asia, Europe, North America etc., and used in the production lines of PHILIPS, SIMON, ABB, BOSCH, OBARA, Mars, PHOENIX CONTACT, YKK, P&G, UNILIVER, FOXCONN, Unif and many other domestic and international famous enterprises. CUH provides not only parts feeder controllers, but a complete automated feed system which has automatic setting, automatic monitoring and automatic adjusting functions. All the SDVC series parts feeder controllers are strictly conforming to the ISO9001 Quality Management System in all manufacturing processes. And our parts feeder controllers have passed the CE certification. Features：1.Automatic Voltage Regulation: The built-in Digital Voltage Regulation function can eliminate feeding speed variation caused by mains voltage fluctuation. 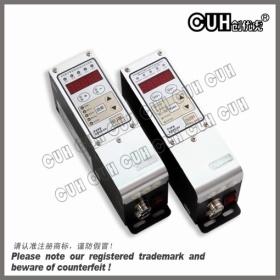 2.Soft Startup: In order to avoid sudden shock to the work pieces, the controller can gently increase output voltage from 0 to the pre-set value when startup. 3.Soft Startup Time Setting: Soft Startup Time can be set exactly in digital numbers. 4.Halt When Work-pieces Are Full: A NPN sensor can help to stall the controller when work-pieces are full and help to fulfill the functions of Soft Startup Time Setting, Startup Delay, Shutdown Delay, and Logical Relation Adjusting. Features： 1. 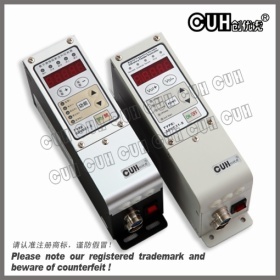 Automatic Voltage Regulation: The built-in Digital Voltage Regulation function can eliminate feeding speed variation caused by mains voltage fluctuation. 2. Soft Startup: In order to avoid sudden shock to the work pieces, SDVC11-M Automatic Voltage Regulated Controller for Vibratory Feeder/Parts Feeder can gently increase output voltage from 0 to the pre-set value when startup. 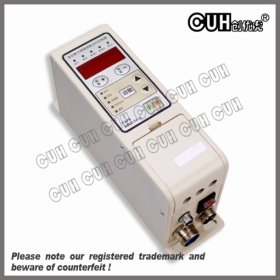 Features： 1.Automatic Voltage Regulation: The built-in Digital Voltage Regulation function can eliminate feeding speed variation caused by mains voltage fluctuation. 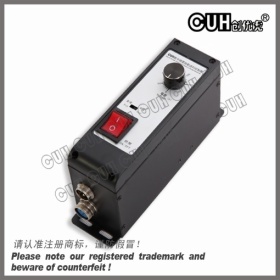 2.Soft Startup: In order to avoid sudden shock to the work pieces, the controller can gently increase output voltage from 0 to the pre-set value when startup. 3.Soft Startup Time Setting: Soft Startup Time can be set exactly in digital numbers. 4.Acceleration: Maximum output voltage value of the controller can be increased up to 150% of the input voltage value. Features：1.Capacitive load: The controller is adaptive to resistive load, inductive load and especially capacitive load like piezoelectric ceramics. 2.Automatic Voltage Regulation: The builtin Digital Voltage Regulation function can eliminate feeding speed variation caused by mains voltage fluctuation.